Let’s start where we left off . . . where my wits left me entirely. 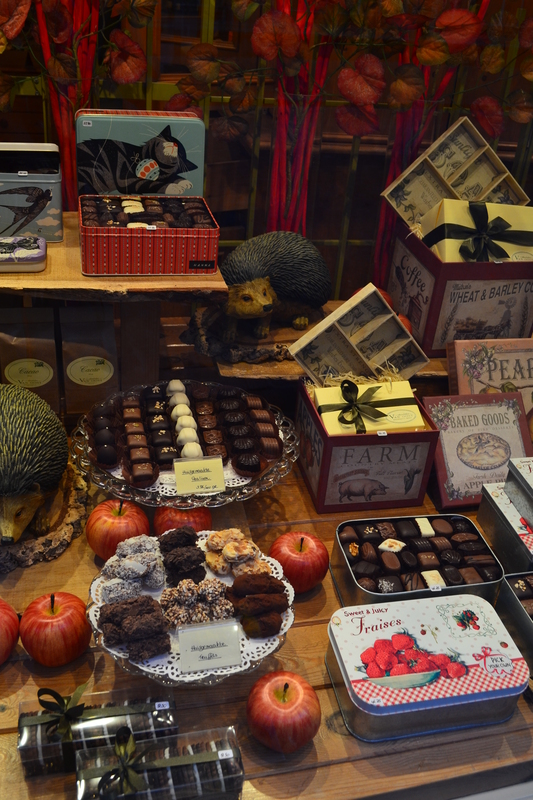 The chocolate shops. 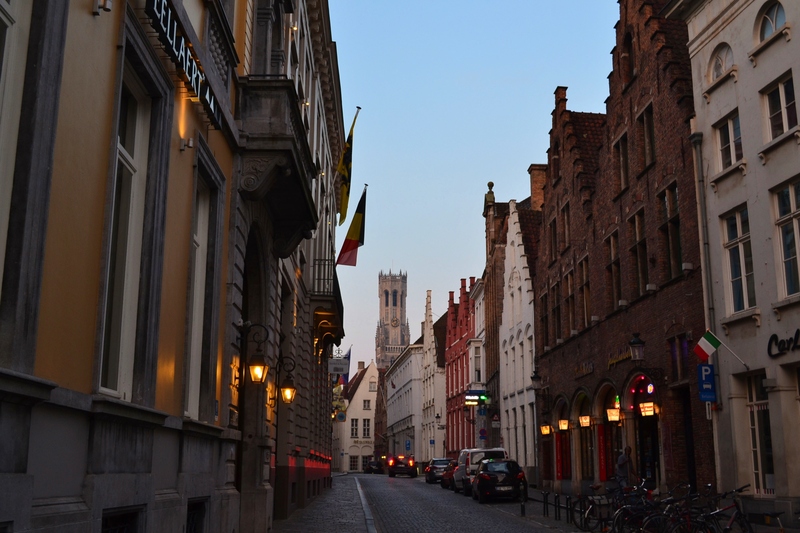 Our first evening in Bruges, we strolled, stared, and ate. 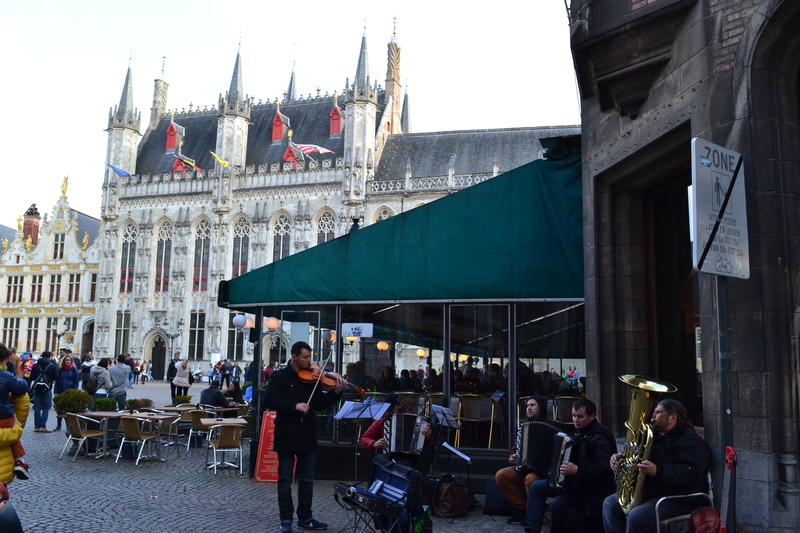 There was music playing in the Market Square, which was bustling with people and horses and carriages. 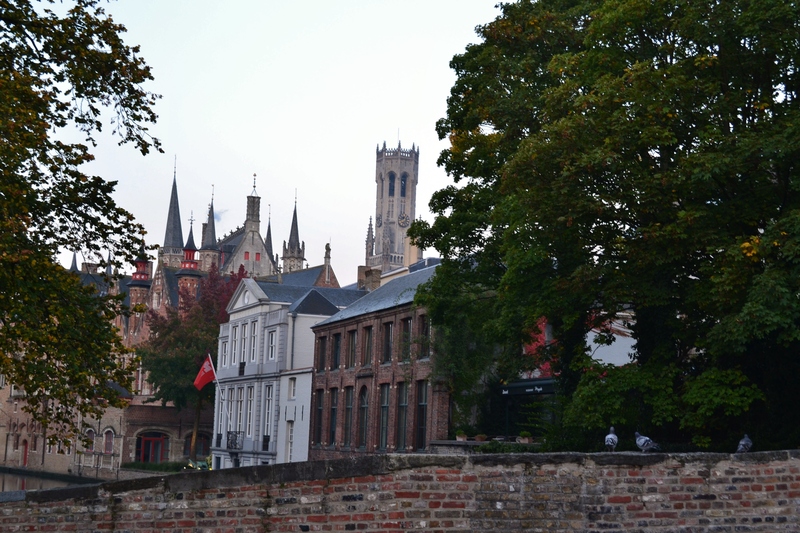 The air was chill, and the sunlight was just beginning to dip low, so there was something festive and holiday feeling about the town, despite the fact that it was only mid October. 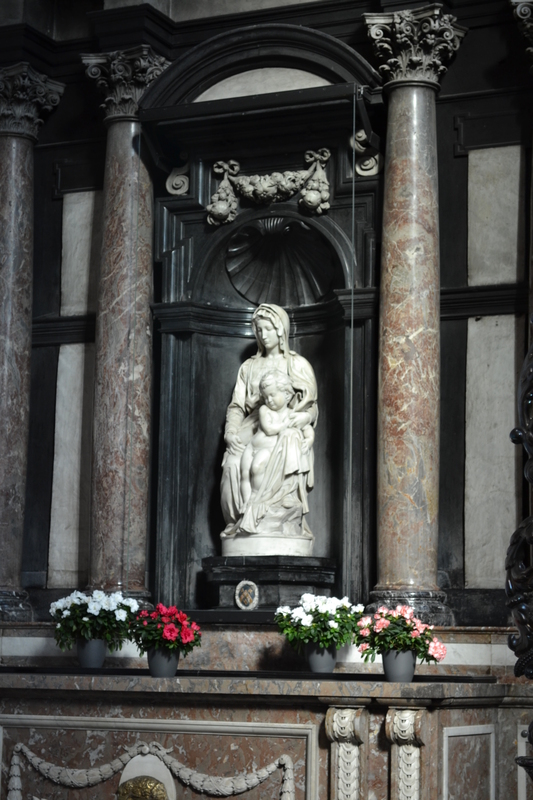 After the brewery, we stopped in at the Church of Our Lady, to see the famous statue, The Madonna of Bruges. The statue is famous for so many reasons. It is one of the only sculptures by Michaelangelo to reside outside of Italy. (Or maybe THE only– I forget.) 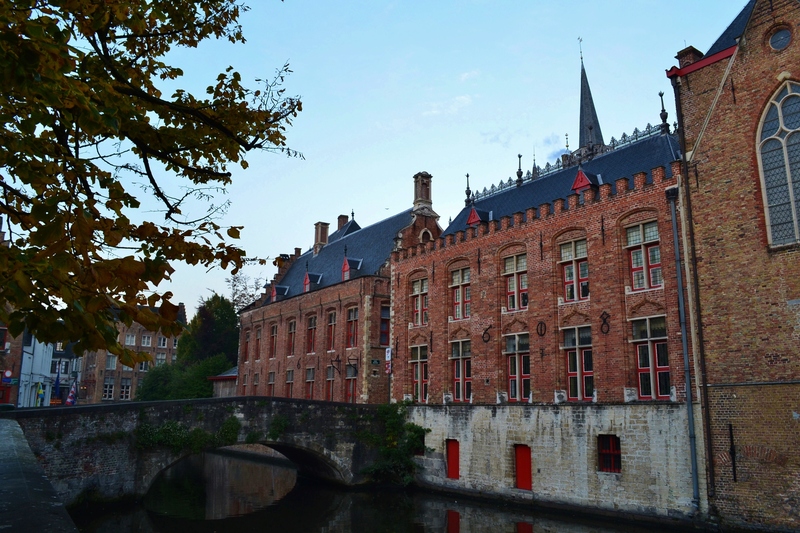 It was also a focal point of the recent book and movie Monuments Men — as one of the finest pieces of art to be stolen by the Nazis from Bruges, but later recovered by “the monuments men” from a salt mine in Austria where it had been hidden with innumerable other pieces of art. After touring the church, our day was nearly spent, and our daughter was beginning to come down with what turned out to be the flu (and would dog us for weeks to come), so we began winding down. BUT not until after we …. YES–ate more chocolate!! 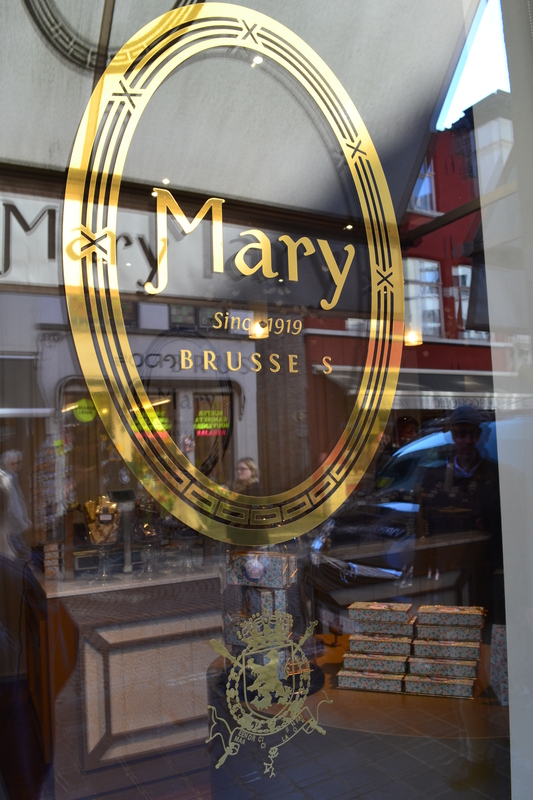 A friend had told us to visit Mary’s Chocolate shop, so we made our pilgrimage there for what were possibly the best truffles and sundry chocolates we’d ever eaten. I strolled the city a little more, while everyone else napped off the chocolate and lunch binge, and then we headed home. 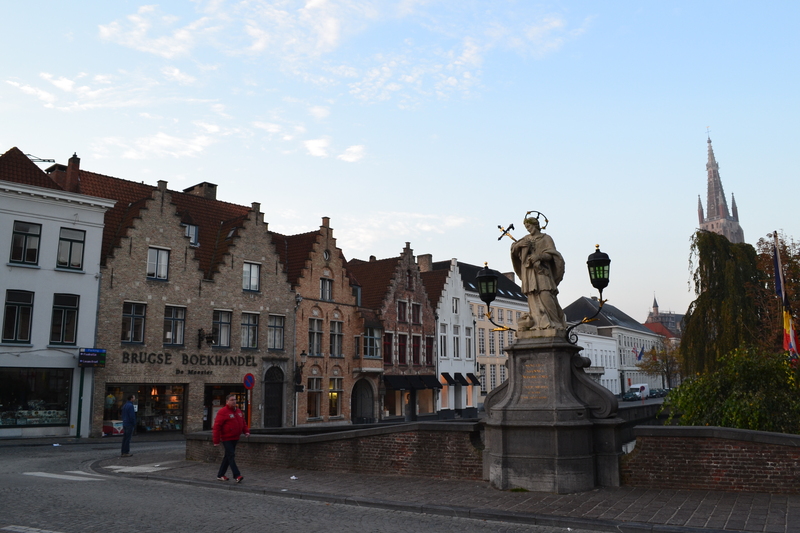 Another day in Bruges would have been fantastic, but might have prompted a chocolate overdose. You have to pace yourself with these things. Maybe another weekend, we’ll make the pilgrimage again. Thanks for part two! One question, did you take a boat ride at all? We really want to do that when we go but aren’t sure where to go. 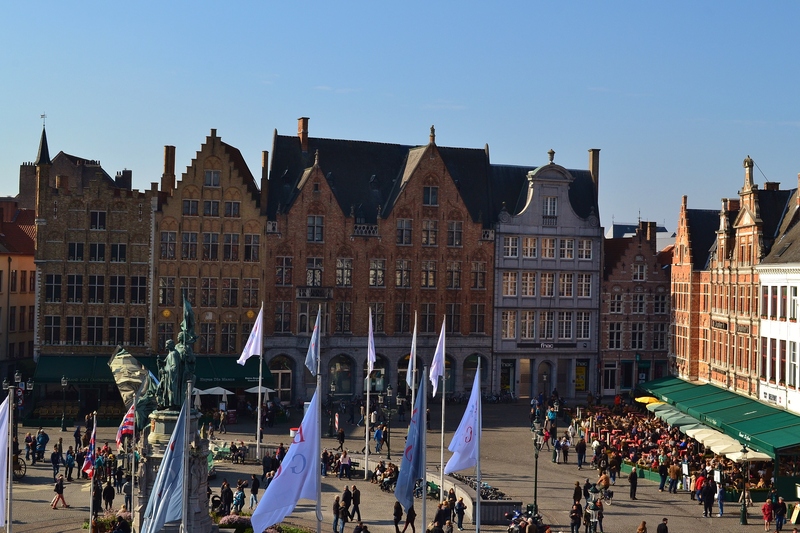 One of the main points for catching boats is right by the fish market (Vismarkt), at the bridge there. They looked really fun, and friends have all told us to take a ride–which we had planned to do. 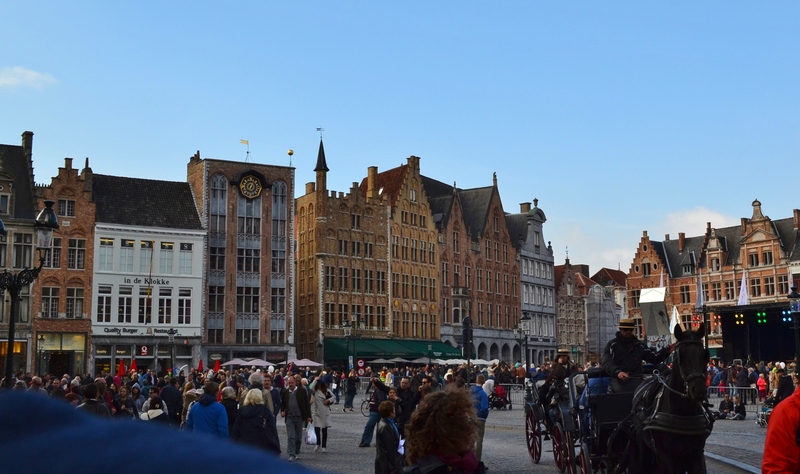 Unfortunately, with my daughter feeling sick, we felt like we needed to stay on land, where we could duck into the warmth of stores, cafes, museums, etc. Maybe next time! I know just what you mean. Fantastic place. 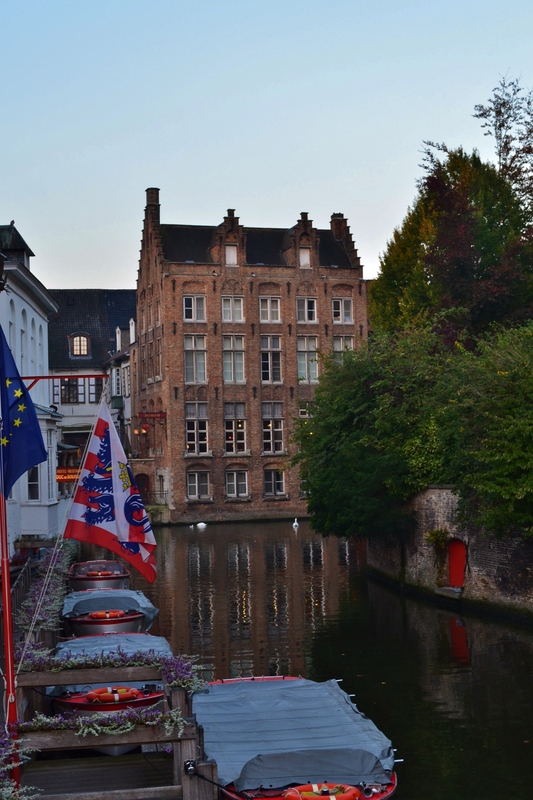 Great pictures and I am drooling now just thinking about the chocolate…. Thanks! The chocolate there is definitely drool-worthy! You’re quite welcome. Take care! 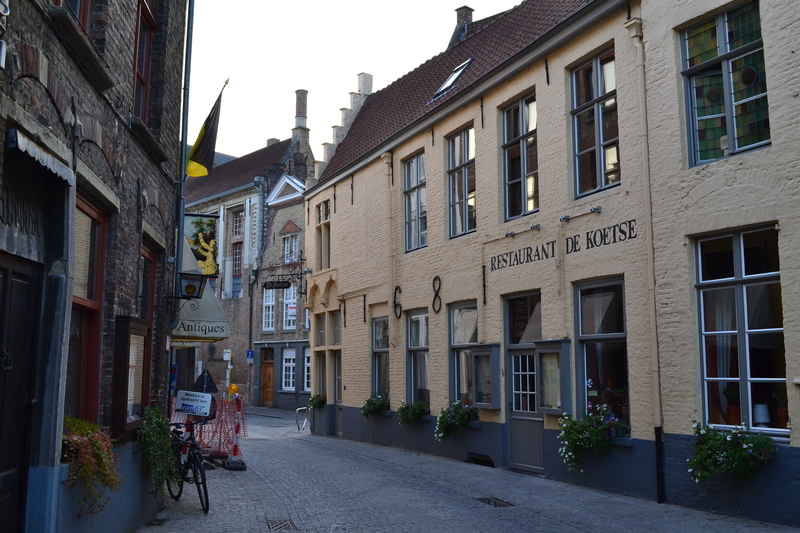 Bruges is such a wonderful city we loved it there and it will be a place we return to for many more visits. I agree– I hope to return. . . and soon. I meant to say we “brought” so much back home with us though we bought a lot too! 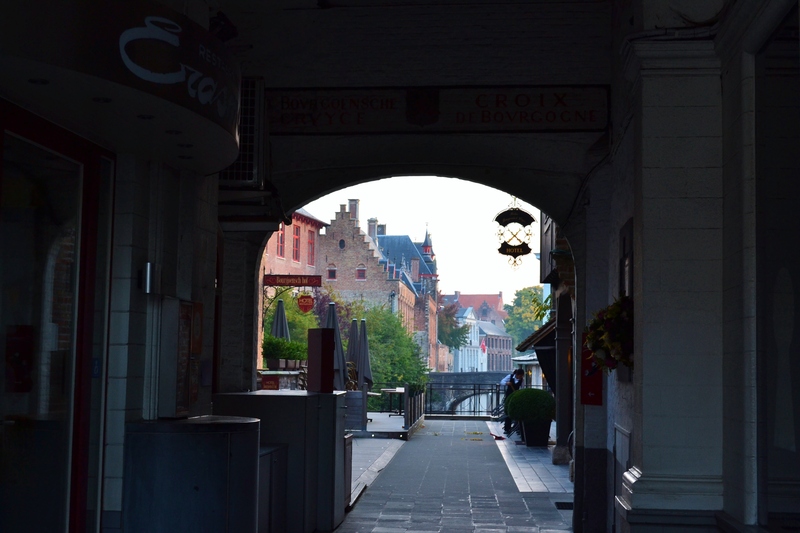 I love the photos of the early morning walk, such a great idea to really see a place without the mass of tourists! Will definitely be giving that a go next time I’m away! Thanks. We’re sold on the morning walks–so peaceful and lovely. Take care! 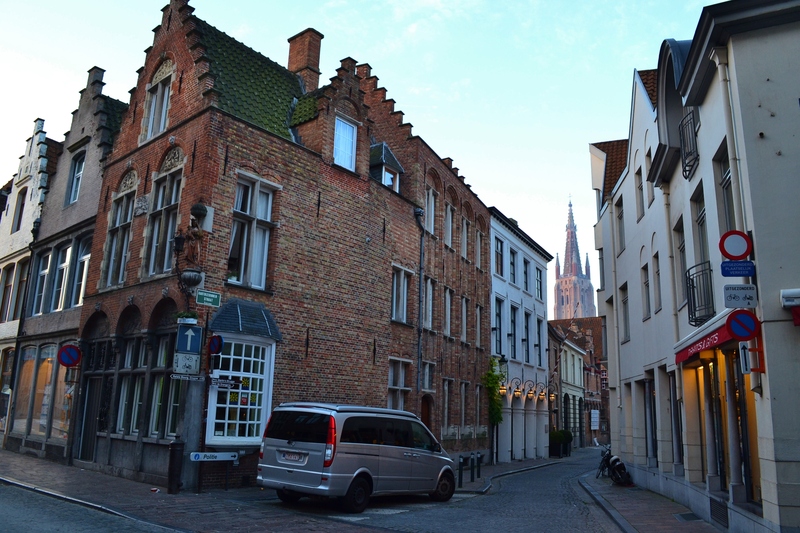 ah wonderful Brugge! great post!